The eyes are a central area of the face. They are also often one of the first facial features to be affected by aging. Wrinkles form around the eyes as the skin on the eyelids begins to loosen and droop. For other patients, the skin on the upper eyelids sags so low that it interferes with their vision. The effect of loose, sagging eyelids is an undesirable one: a tired, older-looking appearance. 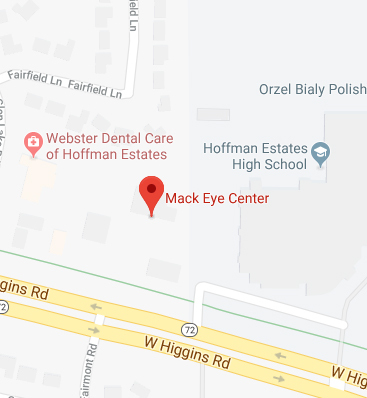 If puffy, droopy eyelids make you self-conscious about your appearance or if they interfere with your ability to see properly and comfortably, Mack Eye Center can help. Our trained eye surgeons are experienced in performing blepharoplasty, also known as eyelid surgery, to smooth out the eye area for rejuvenated, brighter eyes. The best way to determine if you are a suitable candidate for eyelid surgery is to schedule a personal consultation with one of our experienced eye surgeons. During your appointment, your doctor will evaluate your eyes and discuss your aesthetic concerns and goals in order to determine whether upper eyelid surgery, lower eyelid surgery or both can help you achieve your desired look. Eyelid surgery can take between one to three hours, depending on the extent of work that is required and whether both the upper and lower eyelids are being treated. The surgery is typically performed as an outpatient procedure under local anesthesia. During the procedure, your eye doctor will make surgical incisions on the natural folds of the eyelids to conceal any post-operative scarring. To fix falling skin on the upper eyelids, excess skin and fat will be removed while the remaining skin will be tightened. If necessary, fat will be redistributed to fix the contours of the eyelids. To correct bags or puffy skin on the lower eyelids, excess fat will be removed or repositioned, creating a smoother, rejuvenated appearance. Once the procedure is completed, you will be monitored for some time and then released so you can rest in the comfort of your own home for the remainder of the day. For the first few days after surgery, your eyes may feel numb, puffy and sensitive, while your eye area may be swollen and bruised. These side effects are temporary and can be alleviated with prescription medication and cold compresses. Be advised you will need to return to our office for follow-up appointments so your eye doctor can monitor your healing process. Most people are able to resume work and other activities about a week or so after eyelid surgery. If sagging, drooping eyelids are preventing you from you looking and feeling your best, the trained and experienced eye surgeons at Mack Eye Center can help. To learn more about blepharoplasty or your other facial rejuvenation options, schedule a personal consultation with our team. Please call (847) 755-9393 today.